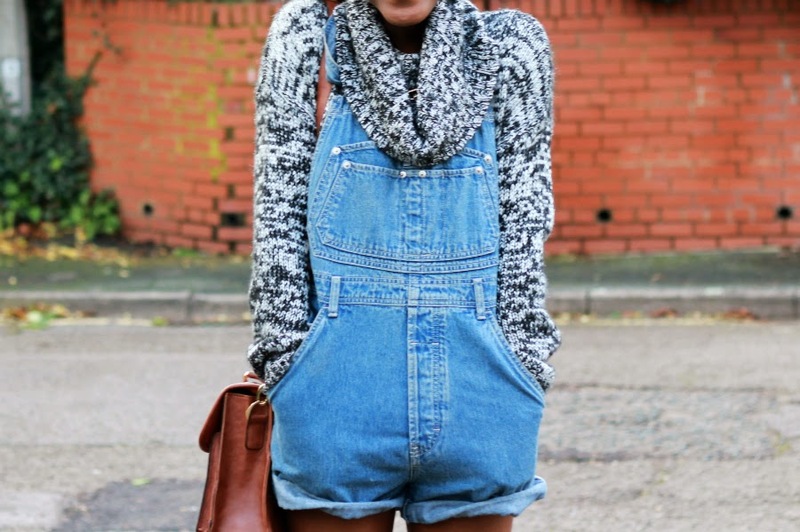 You've probably seen or read somewhere that the denim overall is back in the fashionworld again. And I love it! A overall is so comfortable but still fashionable. I haven't had one two weeks ago so I went searching (online and in real stores) for a nice one. I don't like denim with many bleached details on it but unfortunately I saw a lot of this kind of overalls. After a while searching online I came across this outfit from London's Closet and it was exactly the overall that I had in mind. She worn a Vintage Calvin Klein Overall and after a while I found a seller on Ebay who sold this overall in size s and m. I wasn't sure about the size (because I wanted it a bit oversized but not too much) so I decided after some hesitation to buy them both and sell the one that I'd not fit. I'm really happy with the overalls and I think that they're both really nice (they have about the same color) but s fits me better. Do you have an overall yet? Leave a comment below! I'll read all of them and visit your blog (if you have one) ASAP! 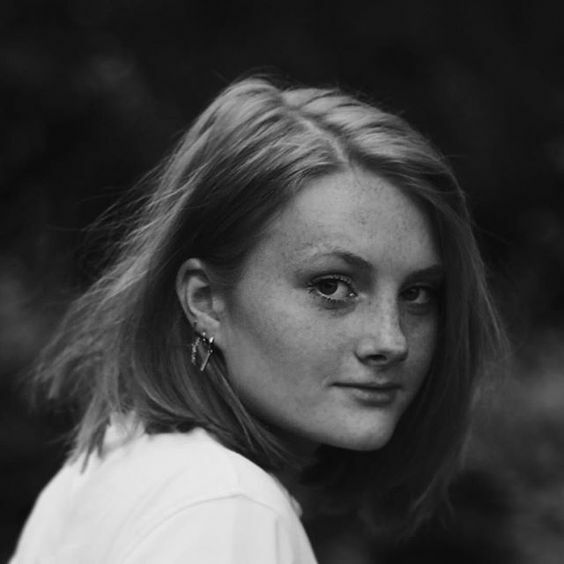 During my vacation, which unfortunately is almost over and I have to go back to school :(, I have been to Berlin with my family and last Thursday with a friend of mine to Amsterdam for some good shopping. I 'needed' new summer clothes and I am well succeeded. Pull and Bear is the only shop where I've bought something in Berlin, the rest is from Amsterdam. Enjoy! This beautiful kimono I bought at Forever21 in Amsterdam and it was €13,75. I was looking for a while for a kimono for the summer (to, for example, put over your bikini when it's getting chilly). and this one is perfect! There are flowers all over it and the fabric is light-weith. I'm going to combine the kimono with a black or white - not too wide - top (this one for example). This summer dress I bought in Berlin. At the Zoologischer Garten are many nice shops (eg. Pull & Bear, Forever 21) so if you're in Berlin I would take a look there. This dress I've bought at Pull and Bear and I'm very happy with it. 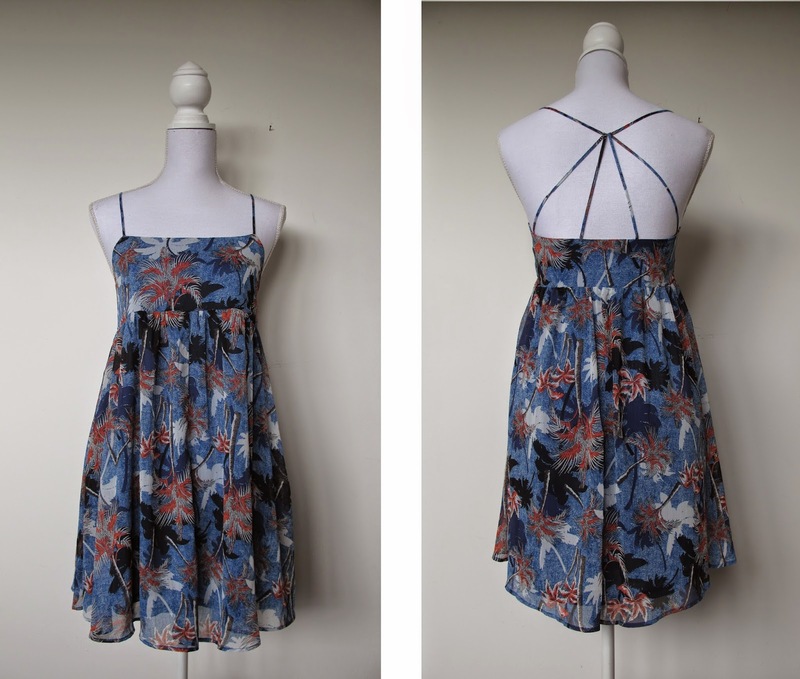 I think that it has a beautiful model (especially the back) and the print is so summery. I bought it for €29,99. This blouse is from the rather new store (at least in the Netherlands) Costes. A really nice shop where you can score inter alia beautiful basics. Like this blouse! I was looking for so long for the perfect white long sleeved blouse (before I had a basic white blouse but didn't fits well) and now I finally found it. The blouse is made of thicker fabrics than most blouses. Therefore you can hardly see your tank top underneath. That's really nice! I paid €35,00 for it. I found this cute singlet at Monki. I'm very happy with it! The top is made of cotton and I love the details at the bottom! You can combine this top with everything. Really a must! It was €12,-. This is a normal striped t-shirt from Brandy Melville and it was €18,-. Not very special but I haven't had one. You can combine this shirt good as well. And the fabric is so soft!! Love it! Oh gosh, I want this short for such a long time! And I finally own them. It's a vintage Levi's 501 Short and it's high waisted. I bought it at Zipper in Amsterdam. Zipper is a vintage store and you have stacks of this kind of shorts! Heaven :) I know a lot of girls are looking for this shorts so here is a tip: go to a vintage store! There you can buy them the best and cheapest. I paid €22,50 for one short. And guess what. I bought another one! Same model but this one is black. This was also on my wishlist for quite a long time and I couldn't pass up! 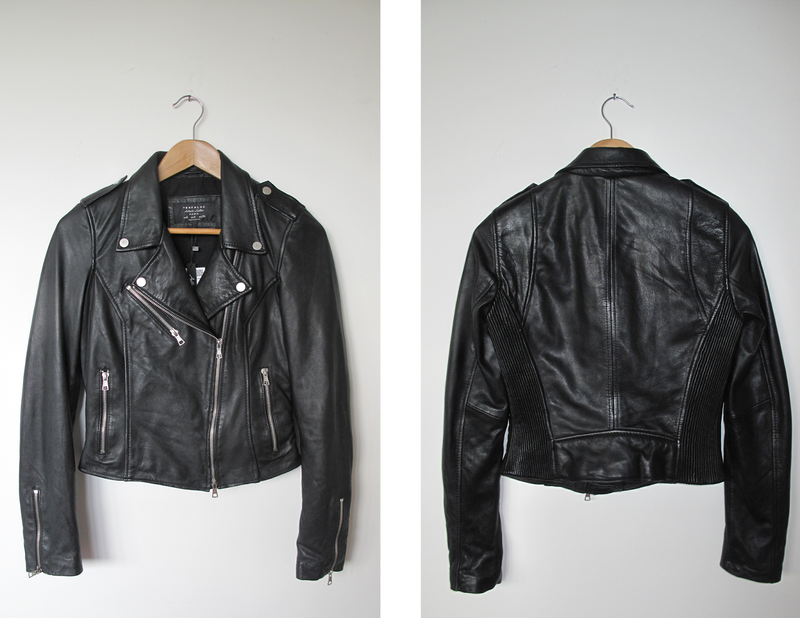 But this has to be my most favorite purchase1 After I've bought a fake one at H&M and I was ripped off at Marktplaats (dutch Ebay) for quite some money, I finally found the perfect leather jacket!! He was pricey but totally worth it. I know I'll wear it non-stop so it was a good investment. 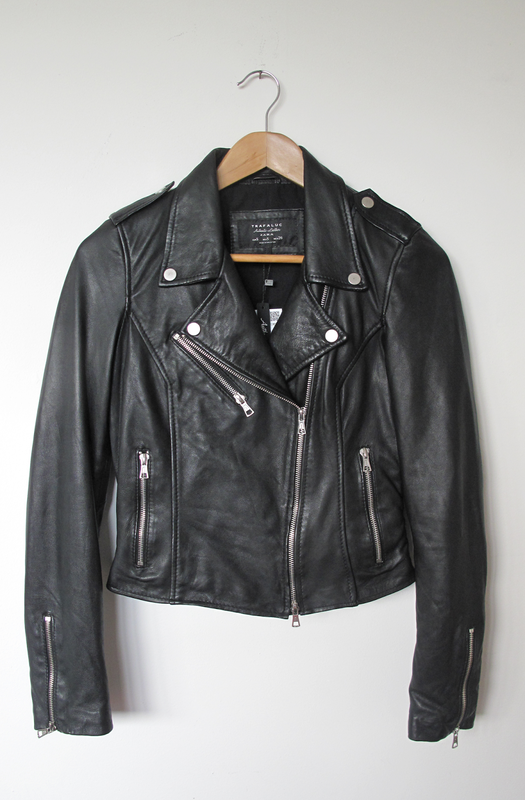 I bought the jacket at Zara for €149,-. I hope you liked it. Sorry if the pictures are too dark, I have a new camera and I'm still trying to figure out how it works. Do you think I should do more often a shoplog? Leave a comment below! I'll read all of them and visit your blog (if you have one) ASAP!